The sensitivity to light, the nausea, the tingling in the arms and legs: Are you familiar with the signs of a migraine headache about to come crashing down? Migraines are common, but their precise cause is unknown. This could be why the medical community has struggled to find a treatment that stops migraines in their tracks and keeps them from recurring. After medications have come up short, are you ready to try anything? There’s good news. Craniosacral therapy is an alternative treatment that takes the entire body’s wellness into account to curb migraine pain and frequency. If you’re a Main Line resident struggling to manage chronic headaches or migraines, I invite you to explore this gentle, non-invasive approach. Though you may have never heard of the craniosacral system, in truth it impacts health immensely. The craniosacral system is the network of membranes and fluids that cushion and nourish the brain and spinal cord. When functioning properly, cerebrospinal fluid circulates freely, with a natural rhythm. As we absorb the stresses of our everyday lives, however, our body tissues can tighten, resulting in restrictions in the movement of the craniosacral system. In turn, the central nervous system ceases to perform at its best. Is it any surprise this causes pain and dysfunction? In craniosacral therapy, the practitioner uses light touch to evaluate the craniosacral system. When restrictions are detected, the practitioner uses soft-touch techniques to release them and restore natural movement. This spurs the body to initiate its own healing processes and often leads to improvement or resolution of health problems. 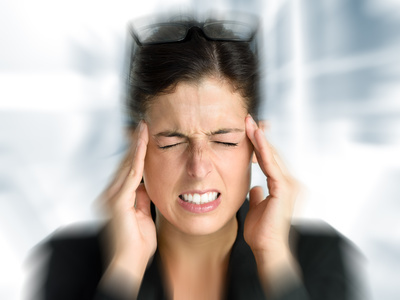 Why Does Craniosacral Therapy Help Migraines & Headaches? It’s possible your migraines or headaches began after an illness or stressor restricted your craniosacral system. Now this restriction is causing symptoms, which medication may alleviate but never fully resolve. Craniosacral therapy seeks to address the issue at its root cause by restoring your body’s natural rhythm and flow. 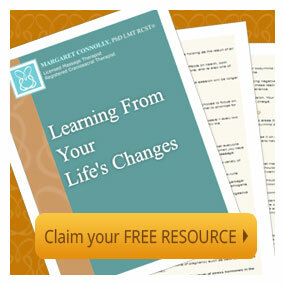 “Having suffered from migraine headaches for most of my adult life, I looked at Margaret Connolly’s brochure for a year. I was unsure of trying this, but I had reached a point where headaches were causing me to miss time from work. The change of seasons was especially difficult. I made sure I had medication with me at all times. “I decided to take a chance on craniosacral therapy. The first day I went, I was in the middle of an excruciating headache. I told Margaret I didn’t think I could be still long enough for her to work. She asked me to let her try. I reluctantly agreed. Within 15 minutes the pain had stopped. I was in complete shock. I thought that when I got home, the pain would return but it did not. “I have not had a migraine in close to eight months. I am able to have a glass of wine again, my sleep is better and my anxiety level is much lower not having to worry about when the next attack will come. I recently realized I no longer think about having medication with me when I go out. Explore more testimonials from craniosacral therapy clients. You have nothing to lose and everything to gain by trying craniosacral therapy for chronic headaches or migraines. This approach could be the key to reclaiming your time, energy, and inertia. Contact me at 610-202-4778 or email mc@MargaretConnollyRCST.com to make your appointment. I’m excited to make your acquaintance and determine a custom approach to improving your health.